Valentine’s Day is almost here! Are you prepared? Can’t find the right gift? I have a great idea just for you! 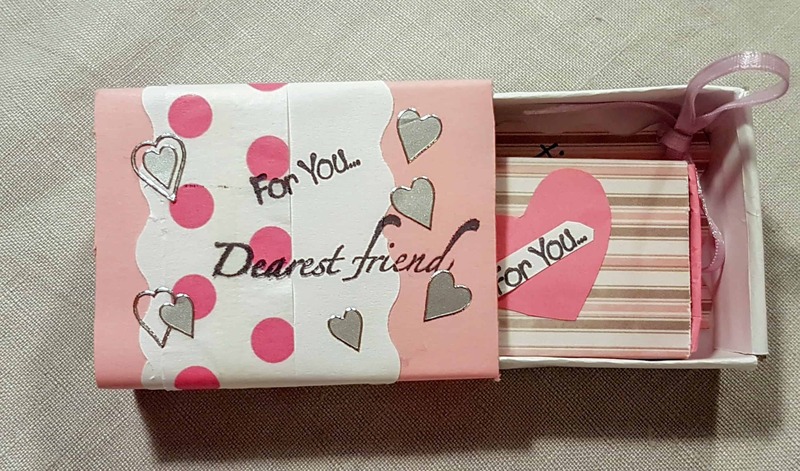 I came up with this fun idea to surprise my friends with these little boxes. Don’t be fooled by size since these boxes hold fun surprises that are prepared with love for each friend. The boxes come with personalized notes and sweet gifts to give out to all my friends. Would you like to make these surprise gift boxes, too? We’ve also made another Valentine’s related craft that’s really fun to do with kids. Even toddlers can craft for Valentine’s. You can check out here what we did. 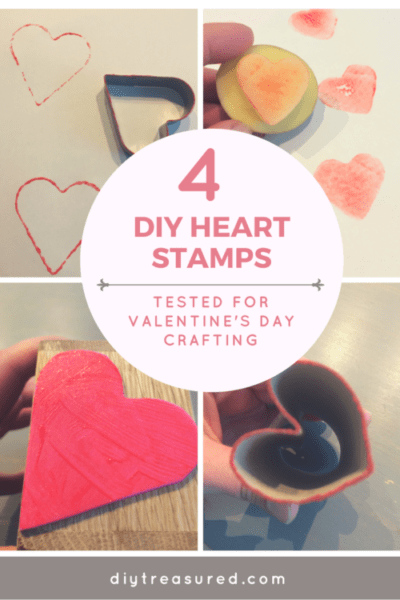 We tested all kinds of DIY stamping methods with our boys, see which one we found the best. These boxes are very simple to make and a great little upcycle project if you already happen to have all the supplies. The most important thing is what comes insides the box. What would like to do with your loved one? Invite him or her to a romantic dinner or go visit a special place. 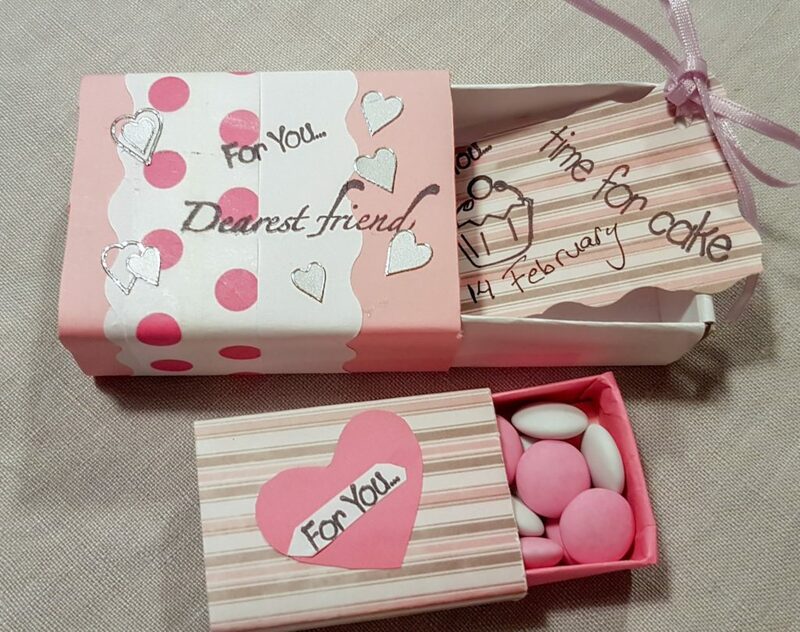 This little box is the perfect way to deliver your surprise message. First you need little cardboard boxes. 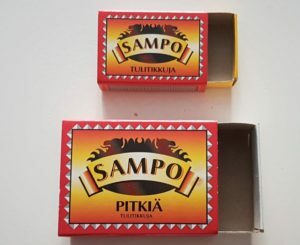 Used and empty matchboxes would be perfect. Pink paper, scrapbook paper or such to cover the boxes. You could do layers of different papers. To add a more personal touch you could use: ribbons, stickers, stamps etc. Glue sticks, works best if you apply on both the box and paper. Stamps and an ink pad. 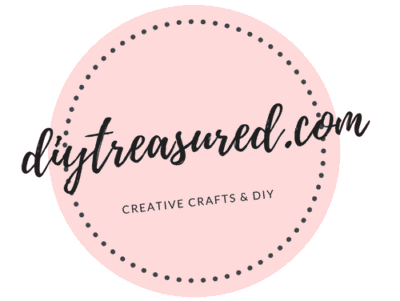 Wooden block stamps are the easiest to use but they are more expensive than the ones you change on an acrylic stamp block. Cute ribbon and some stickers to add a little texture. Measured the boxes and cut the first layer of paper according to these measurements – remember to add a bit of extra to the round measurement to cover the box neatly. Wrapped the boxes with paper using a glue stick. I applied glue on the box and on the paper as well. The bigger box holds an invitation for coffee and cake. I think this is such a neat idea! A fun surprise inside a tiny box. Could invite your loved to a romantic date, too, with this tiny box. For the invitation I used scrapbook paper. Stamped the message on and made a tiny hole in the corner of this little invitation to tie silk ribbon through it. With the ribbon it’s easier to get out of the box and it looks nice, too. What special surprise gift will you give to your friend? 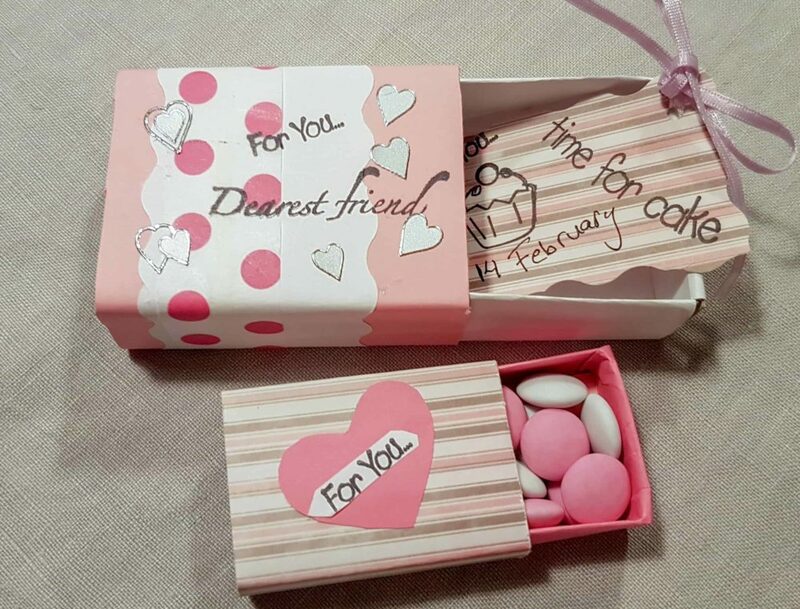 Inside the smaller box I put white and pink chocolate candy. And then placed the smaller box inside the bigger one. There you go, sweet double surprise for your dear friend! Enjoy! Wishing you a lovely Valentine’s Day! May it be filled with love and laughter! 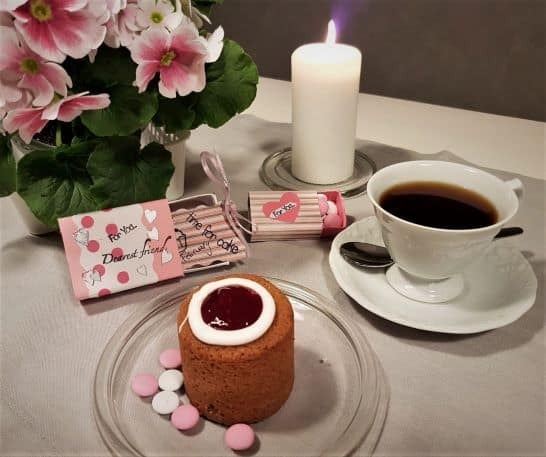 For Valentine’s Day I’d like to invite my friend for coffee and Runeberg’s cake “Runebergin torttu” in Finnish, named after the Finnish poet Johan Ludvig Runeberg (1804-1877). This pastry is flavored with almonds and arrack and rum. And raspberry jam with icing on top. A time when even the gloomiest people express their feelings of love, affection and friendship. Many people give greeting cards, chocolates, flowers, particularly roses, to their partners or admirers on Valentine’s Day. In Finland Valentine’s Day actually translates to “Friend’s day”. Over here February 14th is more about celebrating friendship but of course it’s a celebration of love, too. On Valentine’s Day Finns send the most postcards after Christmas.